Our readers enjoy every aspect of this particularly well run town inn (it was the first site in 1780 for what became Barclays Bank), which is helpfully open and serves some kind of food all day. The various stylish rooms include the elegant bar (once the bank manager's office) with sofas and armchairs, a log fire with fender seating, Adnams Southwold, Woodfordes Wherry and Wychwood Dirty Tackle on handpump, 14 wines by the glass, 74 gins (including local ones - they also make their own tonic waters), seven whiskies, interesting vodkas, cocktails and a farm cider; background music. The restaurant has antique chairs and tables on bare boards, an airy brasserie has sofas and armchairs around low tables and a big brick fireplace, and two other areas (one with fine panelling, the other with a half-size billiards table) have more open fires. The atmosphere throughout is gently civilised but easy-going and service is helpful and courteous. An outside area, flanked by magnificent wrought-iron gates, has fire pits for warmth on chillier evenings, and the riverside terrace (lovely sunsets) has an open-air bar. Most of the lovely bedrooms overlook the river and breakfasts are first class. This is a splendid quayside spot and the Corn Exchange theatre and arts centre is just five minutes away. Sister pub is the Rose & Crown in Snettisham. As well as breakfasts (7-11am), the excellent food includes sandwiches, scallops with crushed avocado and bacon, black pudding pancake roll with apple and crispy shallot salad, sharing platters, puy lentil, spinach, sugar snap, edamame bean and pea shoot salad, steak burger with toppings, barbecue sauce and french fries, salmon fillet wrapped in parma ham with sautéed potatoes, brussels sprouts and walnut pesto, guinea fowl suprême with chorizo lentil casserole and purple sprouting broccoli, braised lamb shank tagine with cauliflower couscous, and puddings such as tonka bean crème brûlée with apricot sorbet and pineapple tarte tatin with mojito granita and mango salsa. Bank House is stylish but relaxed, a Grade II* listed Georgian townhouse on the quayside, in the heart of historic King's Lynn, with buzzy Counting House bar, three other dining areas, west facing riverside terrace and twelve super-comfortable bedrooms. 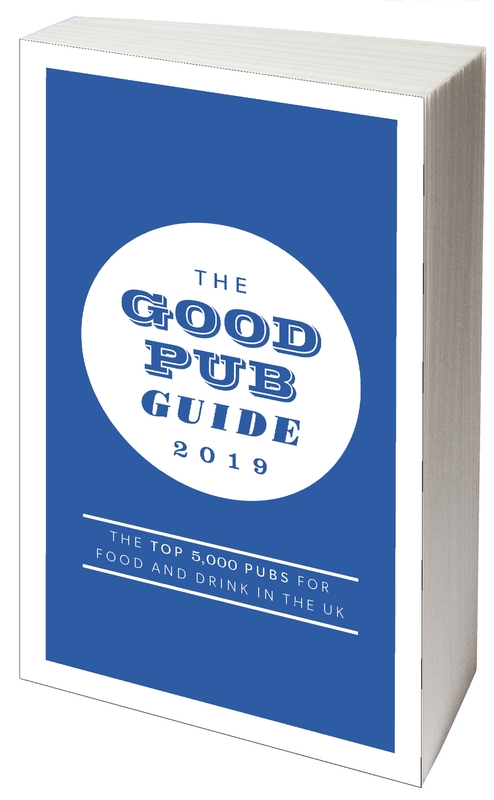 Owned and run by Jeannette and Anthony Goodrich, who also own The Rose & Crown, Snettisham, Good Pub Guide UK Pub of the Year 2015, it has become established as the cool place to eat, drink and stay in King's Lynn. The seasonally changing menu includes pub classics as well as more exotic dishes, using the wonderful fresh produce of the area. The bar stocks three ales on tap, bottled beers, 19 wines by the glass, a full cocktail menu and 24 different gins!King's Lynn is an undiscovered gem of historical and architectural interest and just an hour and 40 minutes from London by train, perfect for a weekend break.